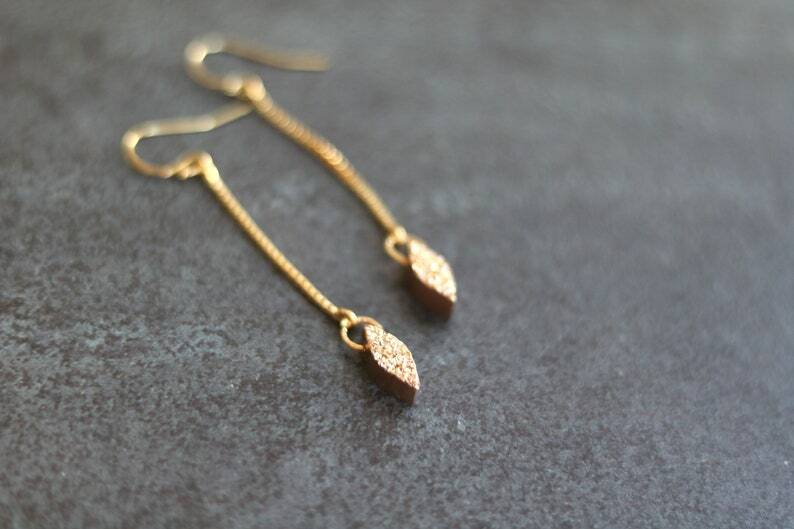 Rose Gold Druzy Linear earrings in gold or silver. 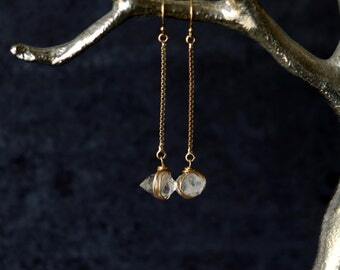 Mixed metal look. 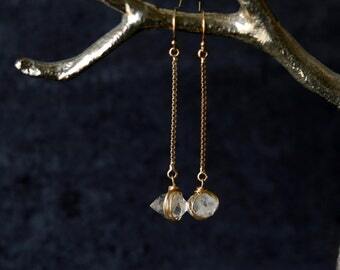 Total length is 1.5 inches. 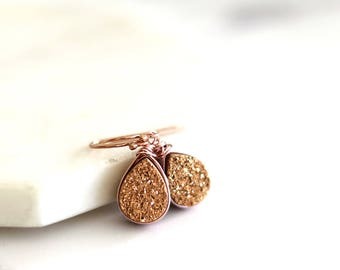 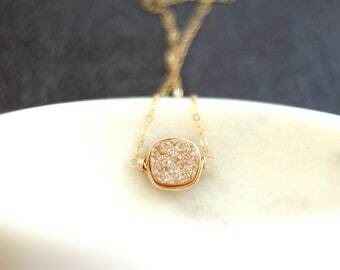 The rose gold druzy is a pale shimmery color that is a perfect neutral for anything in your wardrobe. 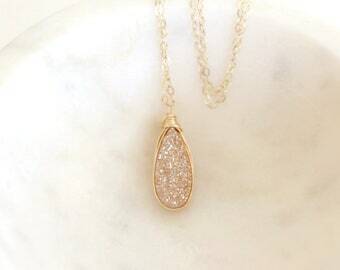 Sleek design makes it a daily staple.